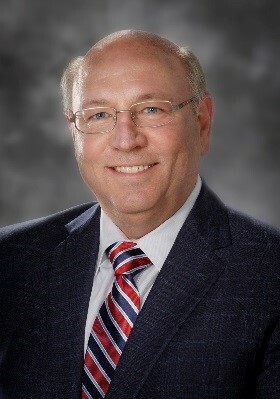 Jay R. Taylor, CEO & President of EagleNext Advisors LLC, is an industry-recognized executive with 30+ years of internal audit and enterprise risk management leadership experience internationally. In 2014, he became responsible for leading development and implementation of the strategic risk management program at General Motors Company and supporting the newly-formed Risk Committee of the Board after a significant public event impacting the company. In this role Jay led the team during a challenging period of profound change, transition and challenges for both the brand and the corporate reputation, embedding consideration of risk into strategic business objectives and decision-making. He retired from General Motors in 2016 after 15 years as a finance executive primarily focused on Internal Audit and Strategic Risk Management. His experience spans international leadership positions as well as reporting to board committees. Taylor is an author and frequent speaker and webinar participant on topics including risk management, technology risk, and internal audit, and is the former Chairman of the Institute of Internal Auditors’ International Advanced Technology Committee. His most recent article, entitled “Staying Ahead of Emerging Risk to Capture Opportunity”, was published February 2016 in NACD Directorship. Taylor earned his MBA from the University of Michigan with honors and his Bachelor of Science in Accounting at Ferris State University where he received highest distinction honors. He holds a Certification in Risk Management Assurance, is a Certified Internal Auditor, a Certified Fraud Examiner, and a Certified Information Systems Auditor. He is a Board Governance Fellow in the National Association of Corporate Directors, a founding member of the Private Director’s Association Detroit Chapter, and a member of the Advisory Board for Sealed Speed, Inc. in Massachusetts and Arbor Insight in Michigan. EagleNext Advisors is a board-focused consulting organization driving better board governance through risk-enabled decision making.